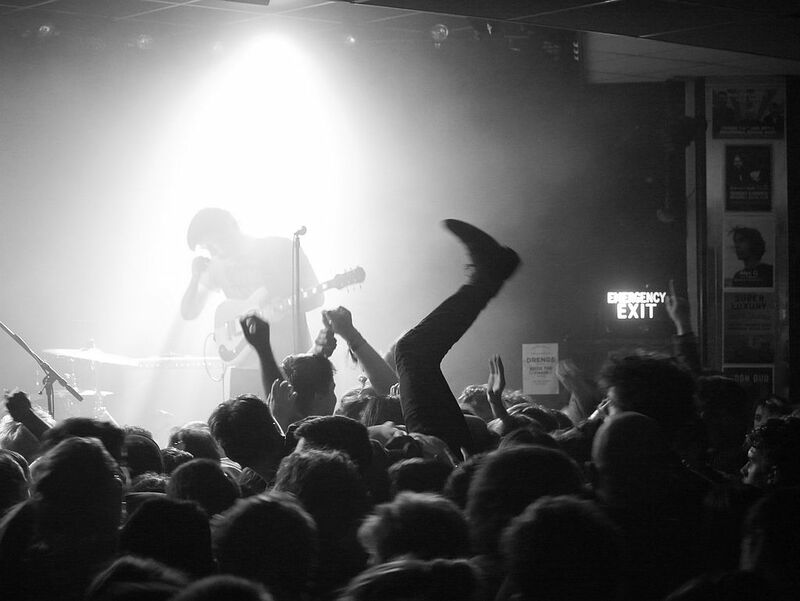 With over 100 acts at 21 venues across Leeds, Live At Leeds is back. But with only 2 ears, what bands to choose? There are loads and loads of tempting bands we haven’t sampled live – and live is where a good band really takes off but we’ve been lucky enough to catch a few of the offerings. Looking over the Vanguard archives, we have a few favourites that you really shouldn’t miss – just be sure and leave some room for us! On record, Drenge are loose, relaxed and fun. Live, they step it up a notch and turn into a sloppy-tight rock band, hitting note-perfect feedback and giving a well-turned impression of walking the line between falling apart and nailing the groove. They nailed it. With solid songs, a trenchant attitude and very polished arrangements, the band showed why this gig was sold out. She Drew The Gun have a solid set of fully formed songs and powerful agit-prop lyrics. Perhaps it was the packed venue (a large living room), performing in front of a huge glass window open to the street, or perhaps it was near the end of a long tour. Or maybe it was the recent signing to Sire Records, home of many legends. Whatever it was, this was pure fun – fantastic pop, touching songs and a non-stop stream of banter and self-deprecating jokes from Thomas Rylance, the front man.